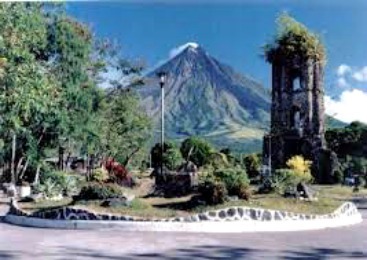 The Department of Tourism (DOT) sees Albay as the leader in the next major wave of the country’s tourism inflow, driven by the lure of its global standard natural tourist destinations and strong marketing message. DOT Secrerary Ramon Jimenez made this forecast at the Philippine Economic Briefing held at the Philippine International Convention Center, where he announced Albay posted a whopping 55 percent tourism growth last year, an impressive leap compared to the 9.8% national average. Jimenez expressed high hopes and confidence in Albay’s tourism potentials and its ability to bring development in the province and the entire the country based on the performance it had made so far. The PICC economic briefing, sponsored by the Bangko Sentral ng Pilipinas and the Philippine Economic Managers, was attended by President Aquino and the entire cabinet. The discussions were generally encouraging, in light of the country’s 7% average economic growth rate in the past four consecutive quarters amid weak global economic recovery. Albay was the only local government unit invited as panelist during the briefing. Gov. Joey Salceda spoke on "Enhancing Adaptive Capacities and Strengthening Resilience to Climate Change,” in his capacity as co-chair of the UN Green Climate Fund for Developing Countries and Southeast Asia. Salceda said the briefing “brought Albay into sharper focus by national and international analysts, investors and business groups,” as the country’s next leading tourism destination and growth center. During the same briefing, Salceda said he was informed by Trade and Industry undersecretary Timmy LImcaoco the terminal of the Daraga International Airport has been revised and made bigger, the design of which would be completed by May and the bidding set by June. The international airport, now under construction, is a pet project of Salceda, who said it is envisioned to open Bicol to the floodgates of international tourism and that airline companies wanting not to miss the Philippine tourism development, now look forward to is opening. Aside from Albay’s iconic Mayon volcano and Cagsawa Ruins, the presence of whale sharks known locally as “Butanding” has drawn local and foreign tourists to the province, particularly in Legazpi City where the gentle giants have frequently been seen.